OVER SEVEN IN 10 people renting in the private sector do so because they can’t afford a mortgage or aren’t eligible for social housing, according to a survey by housing charity Threshold. The survey of 300 tenants who had used the charity’s service in April found that 96% of tenants had found it either “difficult” or “extremely difficult”. Almost a third (31%) had experienced a rent increase in the previous 12 months, with 65% of those saying that their rent had been increased in excess of the 4% rent pressure zone cap. Threshold chief executive John-Mark McCafferty called the results of the survey “extremely worrying, but not surprising”. He said: “Threshold is this year marking its 40th anniversary. Between 1978 and 1980, we dealt with in the region of 3,000 cases – in the first three months of 2018, we have already helped 3,640 clients facing tenancy insecurity. The private rented sector, upon which we are so reliant, is broken. And while we welcome the Government’s initiatives to improve the situation, regulation alone is not enough. Enforcement and real penalties are required for the legislation to become effective. Other findings of the tenant sentiment survey were that 45% of tenants spent roughly a third of their take home pay on rent, with 14% saying that they spend more than half of their earnings on rent. Nearly (47%) of tenants said they felt insecure in their tenancy while 44% of tenants still expect to be renting in five years’ time. Threshold chair Dr Hayden said that the current insecurity for tenants in the private sector means that “they can’t look ahead and plan, they can’t put down roots”. “For families living in the private rental sector, worrying about a possible eviction and move at short notice plays havoc with children’s lives and their school attendance,” she said. 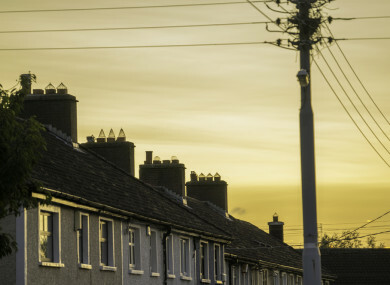 It is a damning indictment of renting in Ireland today that since the crisis of family homelessness which began in 2013 the vast majority became homeless after losing a rented home. Threshold is marking its 40th anniversary with a number of events throughout the year, with the UN special rapporteur on adequate housing Leilani Farha giving a speech at the Mansion House tonight. Email “'The private rented sector is broken': Survey says 96% of people found it difficult to find rental home”. Feedback on “'The private rented sector is broken': Survey says 96% of people found it difficult to find rental home”.